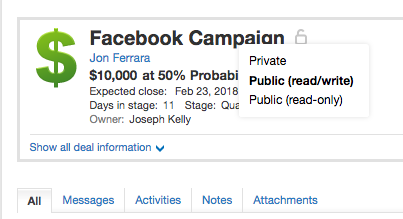 We know it's important for teams and managers to control access and edit rights for deals, which is why we've added an all-new deal privacy option for Nimble. 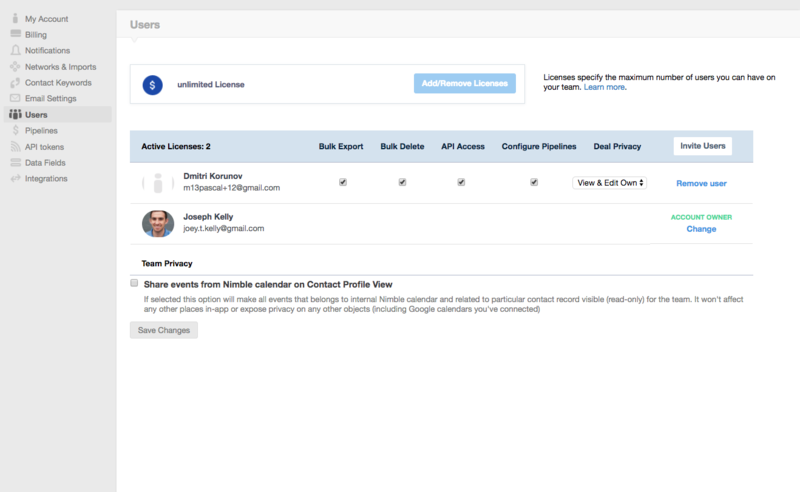 Managing deal privacy is easy for teams on Nimble. Account administrators may delegate privacy rights to specific team members under Settings >> Users. Note: Deal privacy is only available for the Nimble Business plan - Upgrade today! The first user to start your account is automatically the account administrator. Administrators have full control and visibility over your Nimble account, except for private twitter messages and email conversations. All other end-users are subject to the permissions that have been established by the administrator, such as deal privacy. 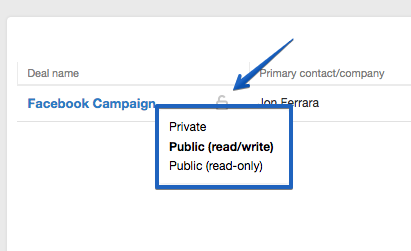 Make changes to deal privacy permissions in Settings >> Users and check the corresponding boxes next to each user. Once you are in your Settings, select the dropdown menu under "Deal Privacy" next to the user whose rights you will edit.